Jabu, Morula and Thembi live in Botswana’s Okavango Delta. I don’t need radio collars or binoculars or even 4-wheel drive vehicles to study them. They are companions, who allow me to walk alongside them, close as an eyelash. Adopted as orphans from culling operations by Doug and Sandi Groves, they spend their days as most wild elephants do: strolling and eating. 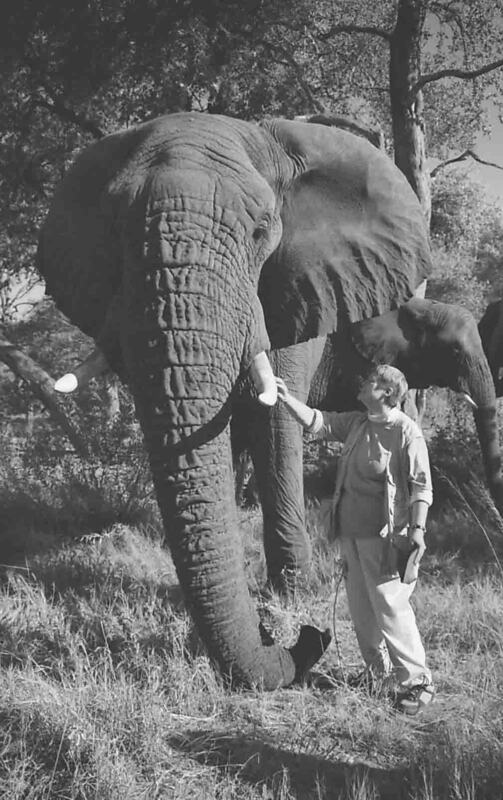 But they are also willing ambassadors between the elephant world and the human world. Walk with me. Stroll with three unfettered and unfenced elephants in a world where the thin-skinned sky is a bare reminder that the earth is covered with air, where clouds stampede as if chased by lions – a world without asphalt, without cell phones, without that strange human notion of time. I hope you enjoy and follow this blog. Your stories and photos are incredible! Thank you for taking me into another world. Wow.